IndiGo listed sectors and the lowest one-way fares offered under the New Year Sale. IndiGo flight ticket prices started at Rs 899 under the limited-period offer. Airline IndiGo is offering flight tickets starting at Rs 899 in a limited-period promotional sale - New Year Sale 2018. Bookings under IndiGo's New Year Sale, which is applicable on travel between February 1, 2018 and April 15, 2018, can be made till January 10, 2018, according to the airline's website - goindigo.in. Bookings for the New Year Sale opened on January 8, 2018. That means potential flyers looking to avail IndiGo's New Year Sale offer have three days to book tickets, till Wednesday. IndiGo was offering tickets starting at Rs 899 on flights from Delhi to Chandigarh under the New Year Sale, according to its website. Some other starting fares offered included Rs 999 on flights from Delhi to Jaipur; Rs 1,099 from Delhi to Amritsar; Rs 1,299 from Delhi to Dehradun, and Rs 1,399 on those from Delhi to Nagpur. 1. The New Year Sale offer is applicable on flight bookings made through all channels. 2. IndiGo said limited seats were being offered under the New Year Sale, without divulging the total number of flight seats. Offer is available on limited seats on selected sectors and flights. If applicable seats are sold out, regular fares will appear. 3. Fares in the New Year Sale offer are non-refundable upon cancellation by customer. "On cancellation, only statutory taxes will be refunded," IndiGo noted. 4. The New Year Sale offer, according to IndiGo, cannot be clubbed with any other offer or promotion. 5. "The New Year Sale offer may be modified or terminated, at any time by IndiGo, without assigning any reason and without prior intimation," the airline added. 6. 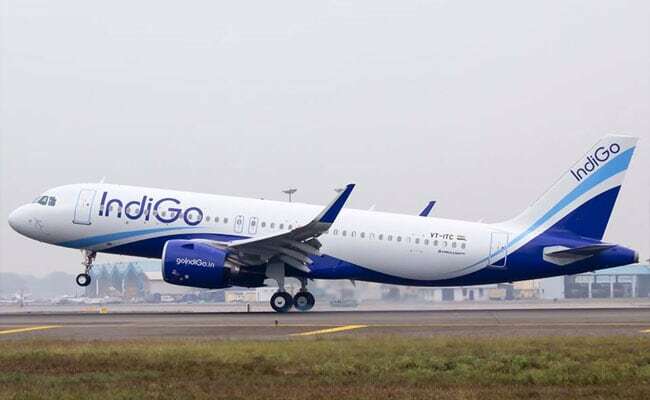 IndiGo is also offering an additional cashback of 10 up to Rs 600 and special service vouchers of up to Rs 600 on payments made with HDFC Bank credit cards, the airline noted on its website. 7. The offer is applicable on HDFC Bank's retail credit cards "excluding any corporate credit cards, commercial credit cards, NetSafe cards and any delinquent or over-limit credit cards", IndiGo added. 8. IndiGo said the offer on HDFC Bank credit cards is applicable on the airline's website and mobile app only. 9. Rs 600 is the maximum amount of cashback or IndiGo vouchers that can be earned on a round-trip ticket, IndiGo added. 10. This offer, IndiGo explained, is subject to a maximum of Rs 300 upon booking of a one-way flight, and Rs 600 on a return flight.